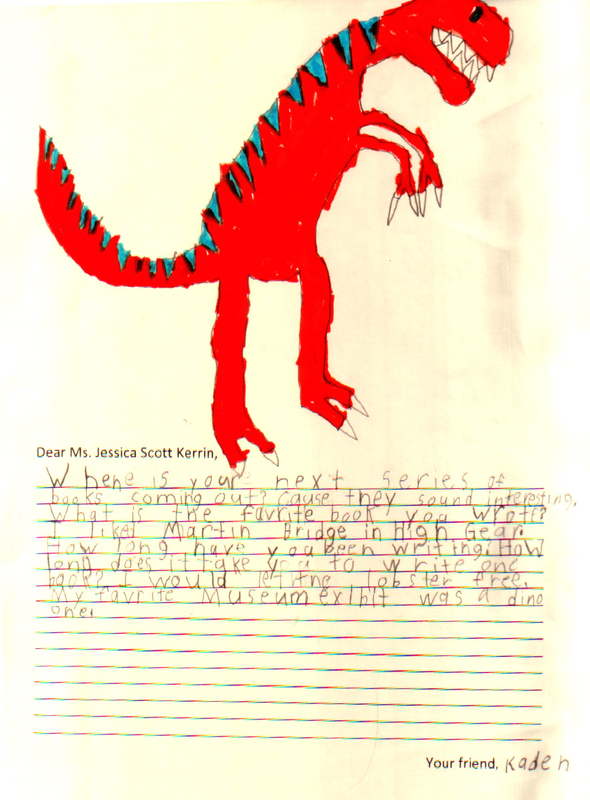 I bet that you visited the Museum of Natural History in Halifax when the dinosaur T.Rex was on display. I loved that exhibit, too, and I loved how you drew this one with orange skin and a happy-looking smile. Maybe he just finished a terrific meal.